Admittedly, I had all but forgotten that LG was one of Google’s Smart Display partners showcased at CES nearly a year ago. Since then, Lenovo and JBL have both brought their models to the market and are offering some pretty sweet discounts for the Black Friday shopping week. For months, the LG WK9 has been listed on BH Photos site simply listed as “coming soon” but no official word could be found from LG. That changed today as the electronics maker announced the Smart Display today and have revealed that it will be discounted by $100 on Black Friday. That’s awesome news except for the fact that the MSRP is $299.99. That’s $50 more than comparable devices from Lenovo and JBL and nearly $200 more than the Black Friday deal you can get on Google’s Home Hub. 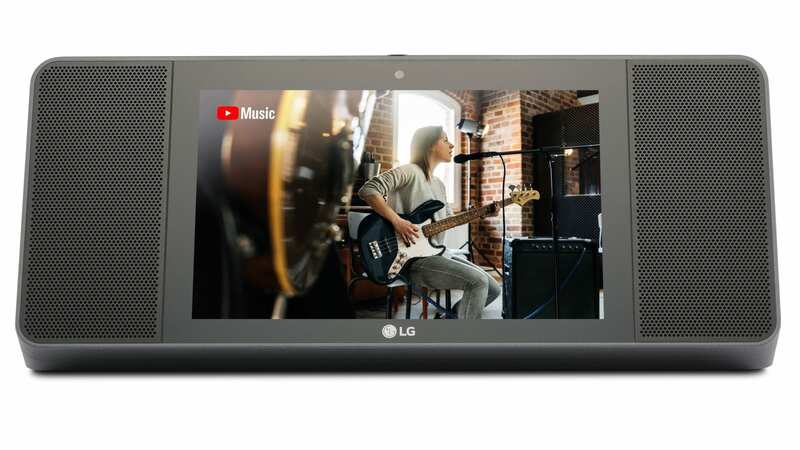 Granted, each device brings their own benefits to the table but LG is banking on their Meridian Audio Technology to condone the premium price tag. We haven’t had a chance to test out the LG yet but I can tell you that the JBL packs some killer sound in their device that demands a smaller footprint than the LG. Not only that, the Lenovo, JBL and Home Hub are all more aesthetically pleasing in my opinion. That’s just me, though. The LG does boast twice the audio umphh as the JBL Link View so it very well could turn out to be the audiophile’s choice of the litter but we’ll save that verdict for our hands-on. The LG ThinQ is still unavailable but it looks like the deal will go live on Black Friday. You can pick one up from BH Photo and I presume most major retailers such as Best Buy will join the fray when it is released. Get notified when it’s available at the link below.